‘The Passion of Politics’ has been released! Behind the slanging matches on the evening news lies a world of passionate conflict over political ideas and values. This engaging book unlocks these ideas helping to explain why we love some politicians and loathe others. 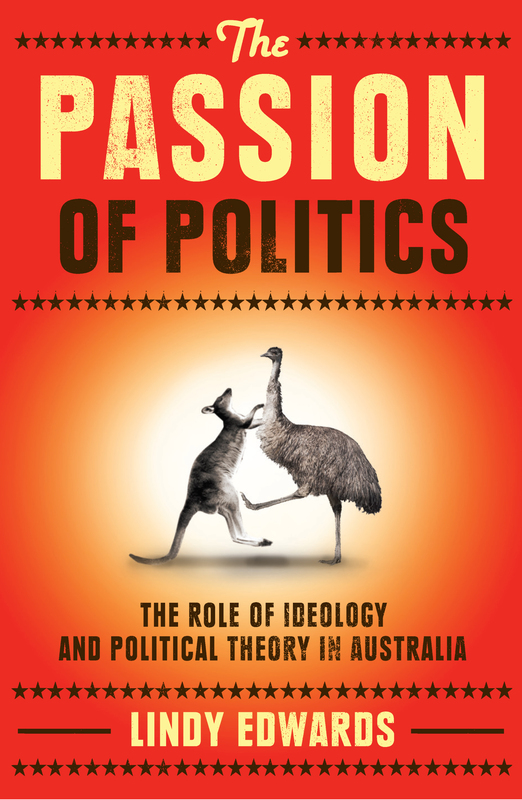 It explains the big ideas by looking at the controversies that define Australian politics. It explores issues from gay marriage and feminism, to free markets and egalitarianism; Aboriginal rights; White Australia and immigration; the city-rural divide and climate change. The ideas driving today’s politics all have roots in the political struggles of the past. They have been responses to great injustices and challenges, and they have underpinned enormous achievements as well as suffering great failures. As Australia looks to the future, understanding these ideas and the lessons learned is crucial. This book is essential reading for anyone who wants to have a deeper understanding of the evening news and to participate in the debate about our future direction. Reading The Passion of Politics I felt involved, I was engaged and prodded to think more deeply about my ideas, our history and our future….Edwards takes us on a journey to the depths of belief..it is clearly written, easy to follow and with an important message about the future of politics …. Her analysis of future debates about the environment is quite brilliant and is icing on the cake of an excellent publication. – Geoff Gallop Former Premier of Western Australia.